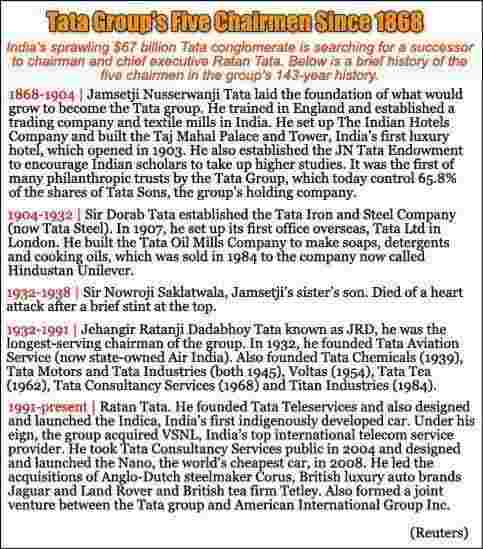 Mumbai: After an international search and reports of well-known global chief executive officers (CEOs) being considered for the job, the Tata group decided to play it safe and picked a member of the family that has a significant shareholding in holding company Tata Sons Ltd as the successor to the group’s current chief Ratan Tata. Mistry was part of the committee created by Tata Sons to identify Ratan Tata’s successor, but recused himself from deliberations involving his own appointment. The younger Mistry is a surprise choice to head a conglomerate whose complexion has changed in the past two decades in which Tata has been its chairman. In 1991, when Tata took over, most of the group’s revenue came from its Indian operations; in 2011, 58% of its revenue came from global operations. The group’s companies have completed several significant acquisitions in this period, including Tetley Group in 2000; Corus Group Plc in 2007; and Land Rover and Jaguar in 2008. Mint editors Sukumar Ranganathan and Niranjan Rajadhyaksha discuss the implications. Still, some of the surprise regarding Mistry’s appointment may have to do with his low profile within the group (he became a director of Tata Sons in 2006) and the fact that he is almost unknown outside it. He will also be the only second person without the Tata surname to head the group (after Naoroji Saklatvala in the 1930s). To be sure, even Ratan Tata was all but unknown when he took over as chairman in 1991, although it was always clear that he would succeed his uncle, the legendary J.R.D. 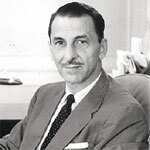 Tata (popularly referred to as JRD). Commenting on Mistry’s appointment, Ratan Tata said in a release that Mistry was a good and far-sighted choice. “He has been on the board of Tata Sons since August 2006 and I have been impressed with the quality and calibre of his participation, his astute observations and his humility," he said. “He is intelligent and qualified to take on the responsibility being offered and I will be committed to working with him over the next year to give him the exposure, the involvement and the operating experience to equip him to undertake the full responsibility of the group on my retirement." JRD ran the group as a federation; Ratan Tata has been more hands-on and has changed the strategic direction of almost every large firm in the group. Mistry has the task of consolidating what has become a multinational conglomerate. Mistry’s elevation to the role of Ratan Tata’s designated successor also comes at a time when most of the group’s large firms—Tata Motors Ltd, Tata Steel Ltd and Tata Consultancy Services Ltd (TCS)—have seen or are seeing a change at the top, with a new generation of leaders having taken over or in the process of doing so. “I feel deeply honoured by this appointment," Mistry said in the release. “I am aware that an enormous responsibility, with a great legacy, has been entrusted to me." Morgen Witzel, the management writer who authored Tata: The Evolution of a Corporate Brand, said he never thought of any of the other external candidates mentioned in media reports as likely successors to Ratan Tata. “One of the key tasks of the leader of the Tata group is to act as guardian of the group’s traditions and values and reputation, which are in turn a powerful part of its brand. An internal candidate will already have absorbed all of this, and be much more connected with the group," he added in an email. 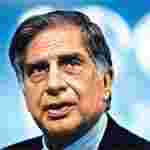 In August 2010, the Tata group created a five-member committee to find a successor to Ratan Tata. Since then, speculation has ruled large about the identity of the individual and whether he (or she) would be from outside the group, even from outside the country. The committee comprised Mistry; Tata Sons director R.K. Krishna Kumar; lawyer Shirin Bharucha; Lord Kumar Bhattacharya, founder of UK-based academic organization WMG (formerly Warwick Manufacturing Group; and Tata group veteran N.A. Soonawala. It had around 18 meetings, according to a Tata group insider familiar with the matter who did not want to be identified. Somewhere along the way, the other members of the committee turned their focus on to Mistry, who subsequently recused himself from further discussions. “It was probably against general expectations of Tata Sons bringing a global chief executive officer as a bulk of Tata group’s revenue is coming from overseas markets," said K. Sudarshan, country head of London-based EMA Partners International Ltd, a global executive search firm. “However, the Tata group is very much an Indian conglomerate at heart. Therefore, it was quite a cultural challenge to bring a global CEO. In that aspect, the Tata group played safe." Mistry will have to decide which approach he wants to take while managing the group, said Kavil Ramachandran, Thomas Schmidheiny Chair Professor of Family Business and Wealth Management at the Indian School of Business. His “biggest challenge will be to strike a balance between decentralizing the group, empowering individual chief executives in a more entrepreneurial role or holding a more central role like Ratan Tata did, when he took over", Ramachandran said. “As the group grows bigger, a centralized command might not work very well." 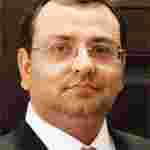 Mistry, currently managing director of Shapoorji Pallonji Group, has been a director of Tata Sons since August 2006. He is a graduate in civil engineering from Imperial College, London, and has a masters degree in management from the London Business School. 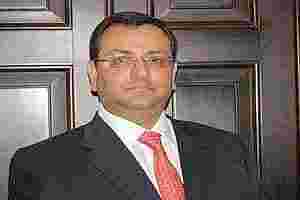 Mistry joined the board of Shapoorji Pallonji and Co. Ltd as director in 1991 and was appointed to his current post in 1994. A media statement said that under Mistry’s guidance, Shapoorji Pallonji’s construction business has expanded revenue from $20 million (around Rs105 crore today) to approximately $1.5 billion. The $83.3 billion by revenue Tata group comprises more then 100 operating companies in seven businesses—communications and information technology, engineering, materials, services, energy, consumer products, and chemicals. The group has operations in more than 80 countries across six continents, and its companies export products and services to 85 countries. Tata companies employ more than 425,000 people worldwide. There are 31 publicly listed Tata enterprises and they have a combined market capitalization of about $77.44 billion (as of 17 November) and 4.3 million shareholders among them. Despite its global presence, though, the conglomerate remains quintessentially Indian in character. “Tata does derive much of its revenue from overseas. Yet, its brand is very much rooted in its Indian heritage and values. Appointing an internal candidate sends a strong signal that Tata will continue to stay true to its core values," Witzel said.